Fresh cilantro leaves. Photo credit: Jonael Bosques, UF/IFAS Extension Hardee County. Cilantro or coriander (Coriandrum sativum) can be grown as an alternative crop which can be grown alongside your collard greens this winter. Coriander was named after the bedbug emitting the same odor, and it is commonly named cilantro. It originated in southern Europe and reached other areas centuries ago, including the hanging gardens of Babylon. Ancient Sanskrit texts, Egyptian papyrus records, and the Bible all mention coriander. The Chinese believed it imparted immortality, and it was used in love potions in the Middle Ages. This plant is a member of the carrot family, native to the Mediterranean region. Cilantro is the most used herb on a worldwide basis. Both the leaf and the seed is used in the kitchen to add flavor. The seed is known as coriander while the leaf is known as cilantro. 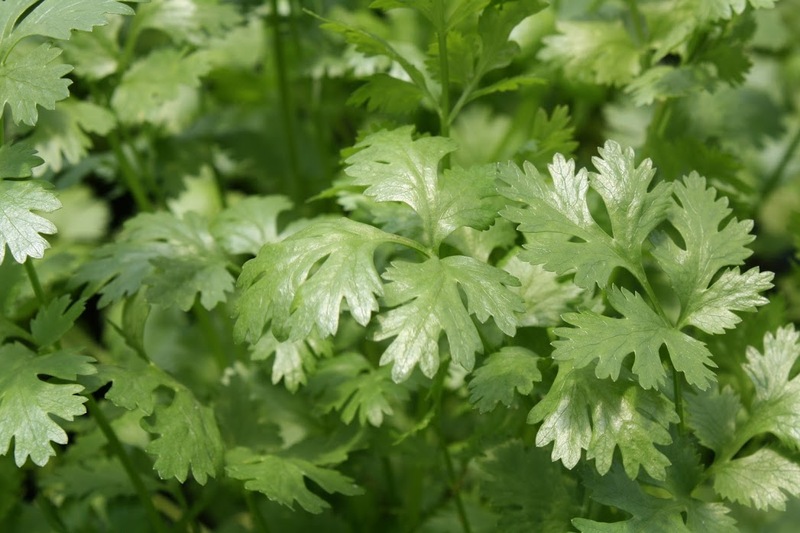 The foliage is finely divided and looks like parsley but has an exceptional sweet-musky flavor. Cilantro is a very versatile herb used in Oriental, Caribbean, Italian, and Mexican cooking. It is sometimes known as Mexican or Chinese parsley. The flat clusters of pale pink flowers produced during the summer ripen into the sweetly aromatic coriander seed. However, fresh seeds have an unpleasant taste and aroma. Drying the seed removes the unpleasant odors. The round, tiny seeds actually grow more fragrant with storage. 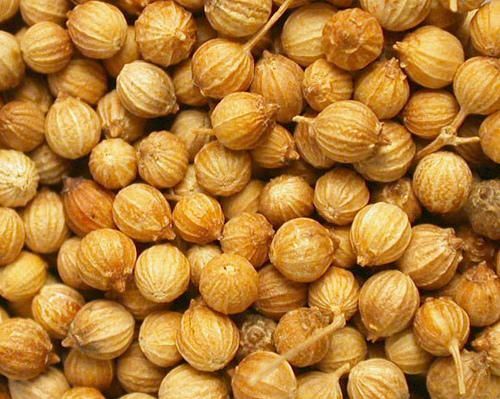 The seeds also contain an essential oil called coriander oil or coriandrol. Cilantro growing on home hydroponic system. Photo credit: Jonael Bosques, UF/IFAS Extension Hardee County. Cilantro can be grown under a wide range on climatic conditions. During summer months, the crop matures in 40 to 45 days. Hot weather causes cilantro to bolt quickly and reduces the development of foliage. Temperatures from 50 to 85°F provide optimal growing conditions. Cilantro tolerates light frost. 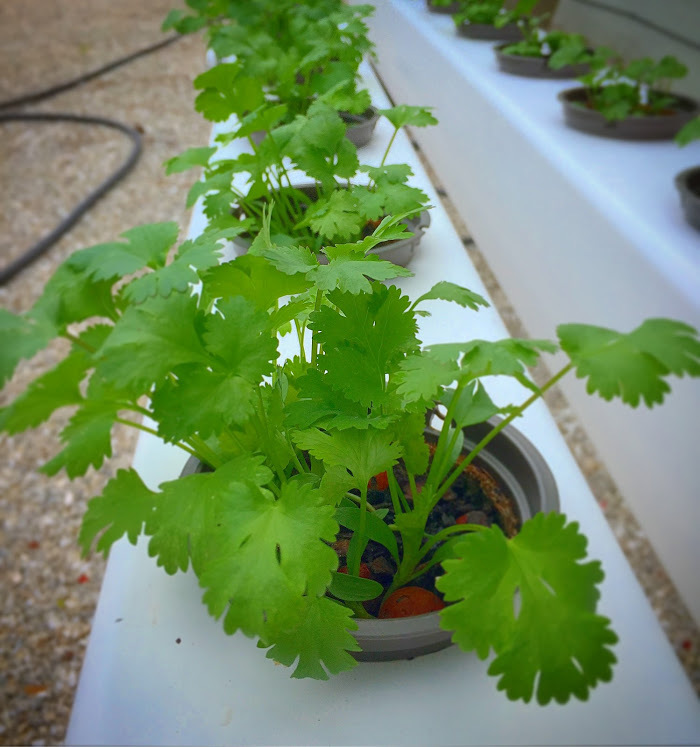 Cilantro can be planted during the fall winter and early spring months in Florida. For best germination you can soak the seeds overnight in water while placing them in the refrigerator if the night temperatures are above 60°F. If night time temperatures are cooler, sow the seeds directly on the ground in humid soil. One plant will yield two cuttings before maturing. For a continuous supply, sow every week through the summer. Cilantro performs best in moist, well-drained soils. If you desire to harvest coriander (the seeds), let the plant flower after the first cutting. inches apart. Leave 15 inches between each row. Sow seed between 1/4 to 1/2 inch deep. Cilantro is susceptible to bacterial leaf spot (caused by Pseudomonas syringae). Neem oil seems to stop the spread of this bacteria. Beet Armyworm (Spodoptera exigua). Photo credit: John Capinera, University of Florida. Cabbage Looper (Trichoplusia ni). Photo credit: John L. Capinera, University of Florida. Green peach aphid (Myzus persicae). Photo credit: Lyle J. Buss, University of Florida. 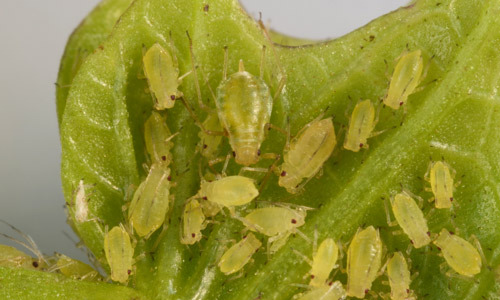 The first two insects can be controlled with BT, carbaril or pyrethrin while the peach aphid can be controlled with pyrethrin, permethrin or azardirachtin. Cilantro can be harvested after 45 to 70 days from planting. Cut the exterior leaves once they reach 4 to 6 inches long (depending on variety), or cut the whole plant 1 to 2 inches above the soil level. Fresh cilantro is usually hydrocooled or iced as soon as it is ready for packing. Cooling temperature should be 33°F to 35°F while waiting for shipment. In these conditions, cilantro should have a shelf life of at least 14 days. Jonael has been a County Extension Agent since 2008 and has served in various capacities within the field. Currently, Jonael is the Agriculture Extension Agent and County Extension Director of the UF/IFAS Extension Hardee County Office.